U.S. oil prices remained at a three-months low in early Asia trade Wednesday as high inventories of gasoline products cloud the future outlook for crude. Money managers are seen to be moving from long liquidation to active shorting, reflecting negative technical and bearish near-term fundamentals, said Citi Research in a report. On the New York Mercantile Exchange, light, sweet crude futures for delivery in September CLU6, -0.54% traded at $42.87 a barrel, down $0.05 in the Globex electronic session. September Brent crude LCOU6, -1.05% London’s ICE Futures exchange fell $0.05 to $44.82 a barrel. 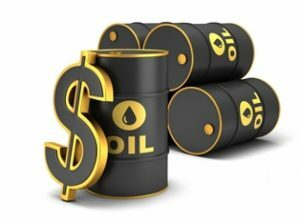 Compared to February, when oil hit around $26, prices have risen significantly in the past five months, thanks to several supply disruptions such as workers strikes in Kuwait, wildfires in Canada’s oil sand production hub, and militant attacks in Nigeria. But as some of these factors have ended or are coming to a close, market players are shifting their attention back to the fundamentals, which point to a growing supply of crude and oil products in the world. In the U.S., despite the annual driving season, gasoline stocks there are at 241 million barrels, a level more than 12% above the five-year average, said S&P Global Platts. China, the world’s second-biggest consumer of oil, has also ramped up its exports of distillates in the past few months in a bid to dump its unwanted barrels to the regional market. “What we are seeing is the effects of cheap crude coming to fruition in the products market,” said Vyanne Lai, an energy analyst at National Australia Bank. The worry is that the swelling glut of gasoline will prompt refiners to buy less crude oil going forward, causing the global glut of crude to linger longer and put prices under pressure. “Market-watchers would closely watch on tonight’s crude oil and gasoline inventories in the U.S., though market calls are still pencilling in a sustained fall in crude stocks while gasoline and distillate stocks are expected to gain to further,” said Barnabas Gan, an economist at OCBC. Brokers and traders surveyed by The Wall Street Journal expect crude stocks to fall by 1.6 million barrels, while total levels of gasoline and other refined fuels rise by a combined 500,000 barrels. The American Petroleum Institute released its inventory forecast Tuesday afternoon, which showed a 827,000-barrel decrease in crude supplies, a 423,000-barrel decline in gasoline stocks and a 292,000-barrel increase in distillate inventories, according to market participants. Nymex reformulated gasoline blendstock for August RBQ6, -0.60% — the benchmark gasoline contract — fell 17 points to $1.3435 a gallon, while August diesel traded at $1.3203, 57 points lower. ICE gasoil for August changed hands at $385.75 a metric ton, down $0.50 from Tuesday’s settlement.